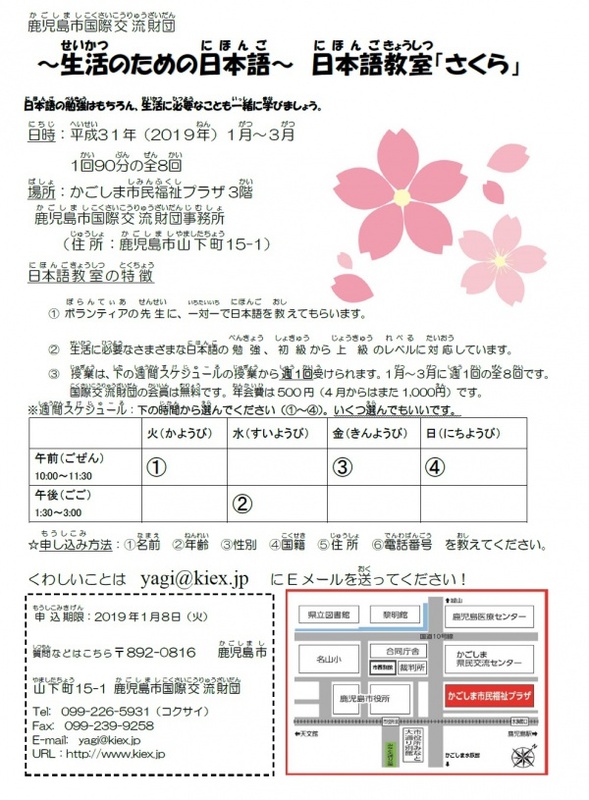 Kagoshima International Exchange Foundation’s regular closing day is Mondays. 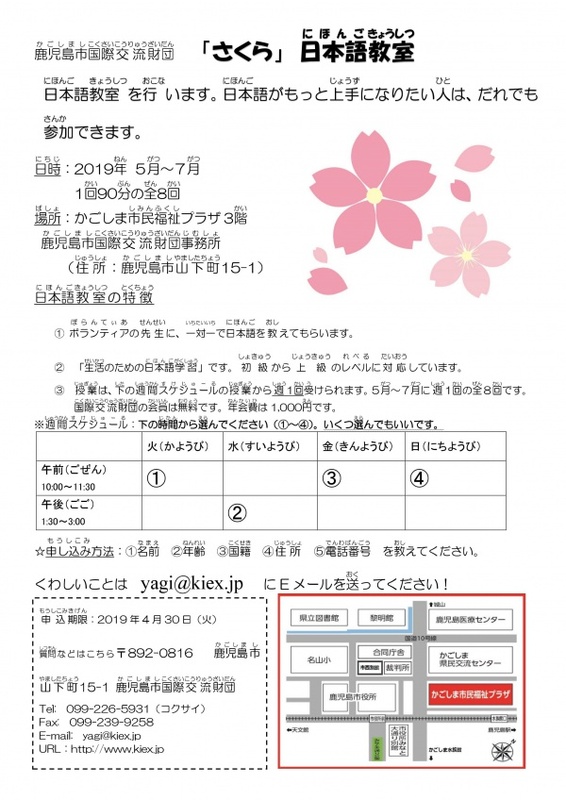 However, we close our office on Tuesdays (April 30th /.May 7th) during Golden week period. 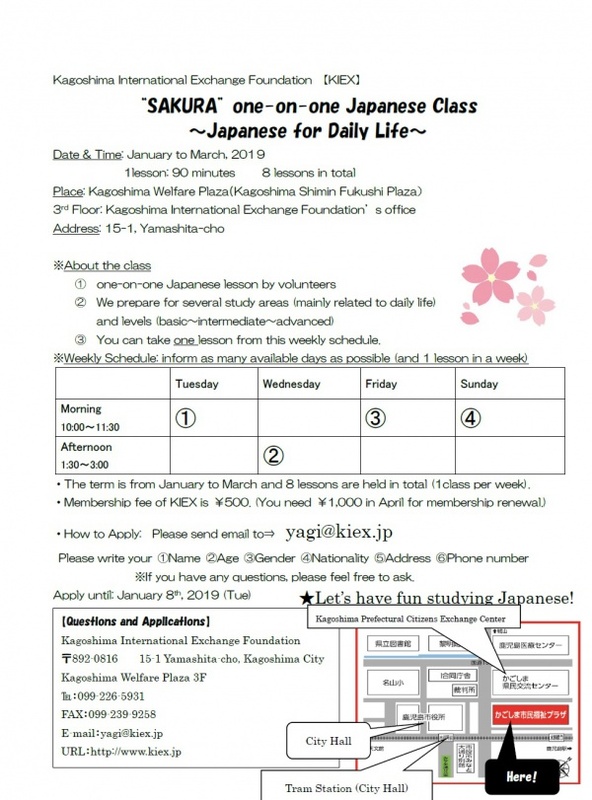 【Taniyama】One-on-one "Japanese Class for Daily Life"
KIEX will hold Japanese lessons by volunteer teachers from January, 2019. 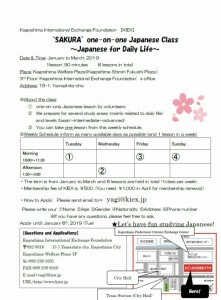 The main aim of the lessons is not for the qualification or test but inform Japanese related to daily life. 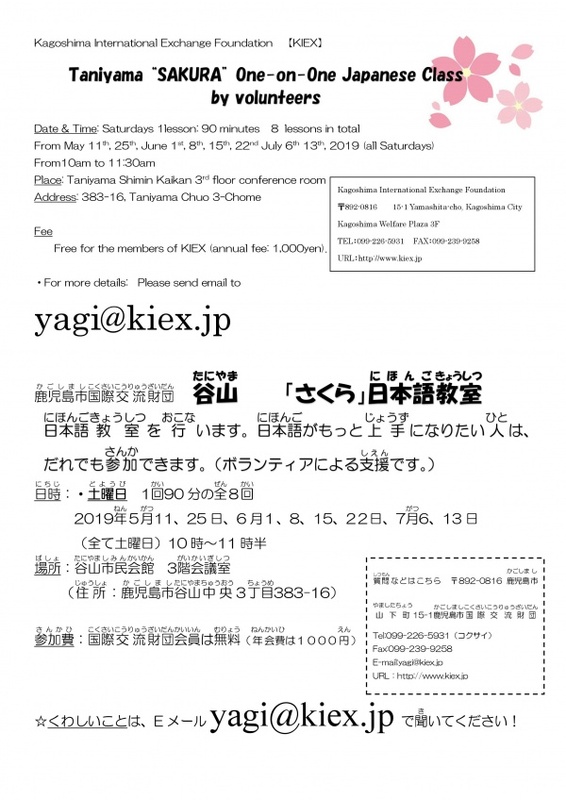 Please see the flyer for more details. 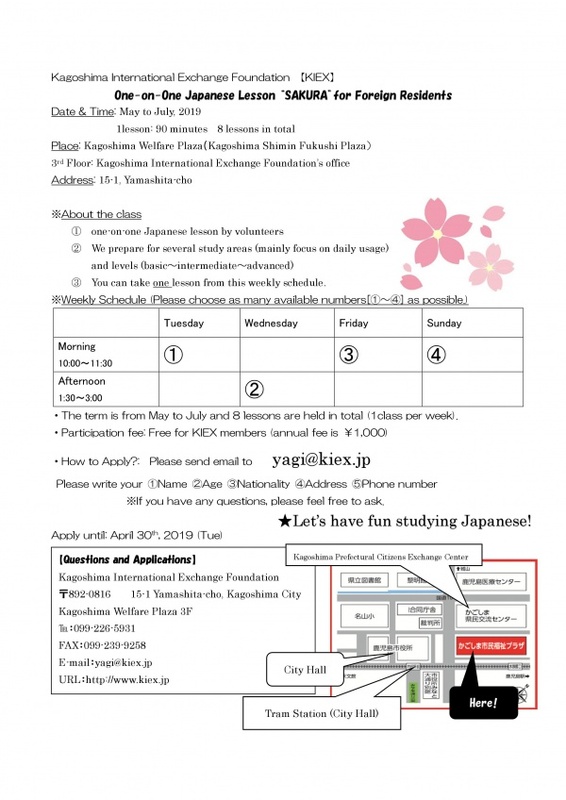 We can see awesome nature ＆historical samurai houses, eat tasty local lunchplate, and enjoy international exchange game at tremendously low price! Taste the world at this international exchange party! Bring along a plate of food from your country and look forward to an assortment of dishes. 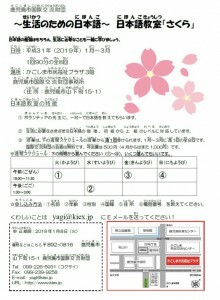 There will also be an exciting quiz about food around the world.